We're blazing a hot trail into the future and will open our 600th restaurant later this year! 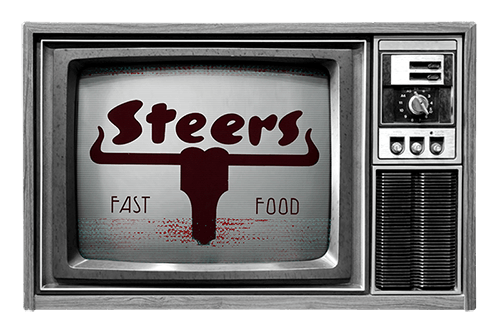 Steers joins Rounda, enabling customers to make a difference and feed young tummies and minds. Then there's the #Kinging Celebration where we showcase the work of visionary creatives in the world of fashion, food, art, dance and music. We launch the Respek Nation campaign and pay tribute to SA's leading Hip Hop Acts. We even create a burger for the occasion, the Rib King. 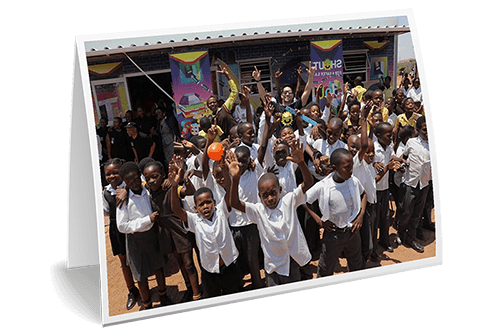 In partnership with the Shout Foundation, we launch the Shout Burger Combo to raise funds to build libraries in disadvantaged communities. We've gone on to open four libraries across the country and we're looking to build more. We cross the Atlantic and open restaurants in Lavender Hill, Battersea and London in the UK. 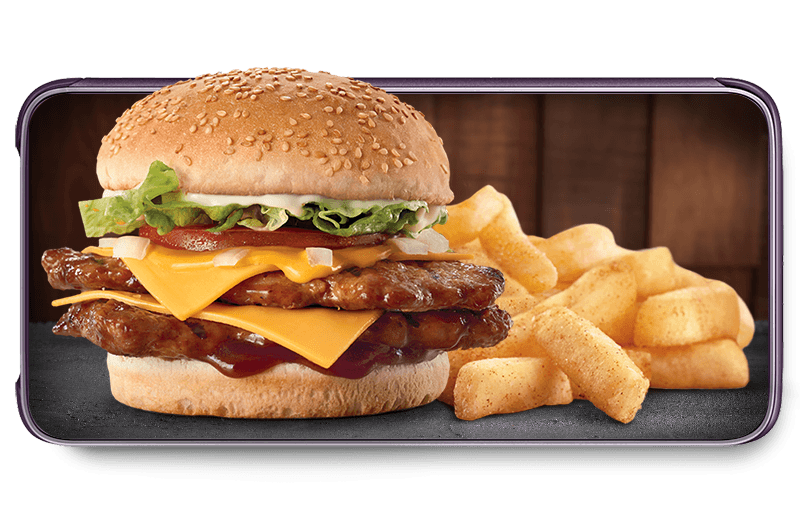 We also launch the Steers App, making it easier to get a taste of flame-grilled. 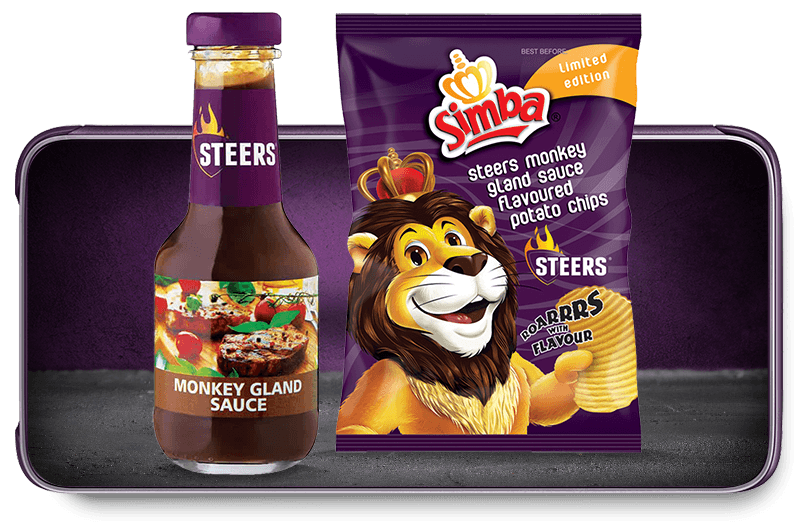 Plus, Simba Potato Chips honour us with a Steers inspired flavour: Steers Monkey Gland Sauce! It's time to refresh our look. We revamp our image and our stores and start focusing on what's important. Now it's all about Real Burgers! We celebrate 50 years of flame-grilled! 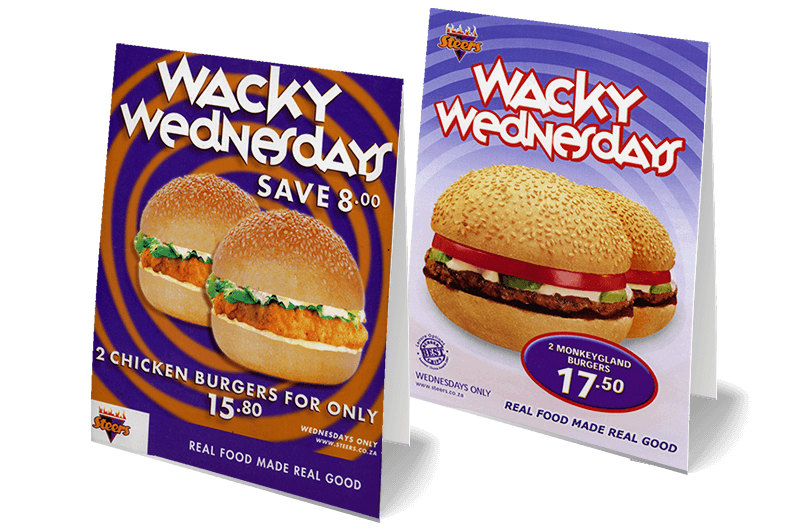 We introduce our two burgers for the price of one special and every Wednesday becomes a Steers day! 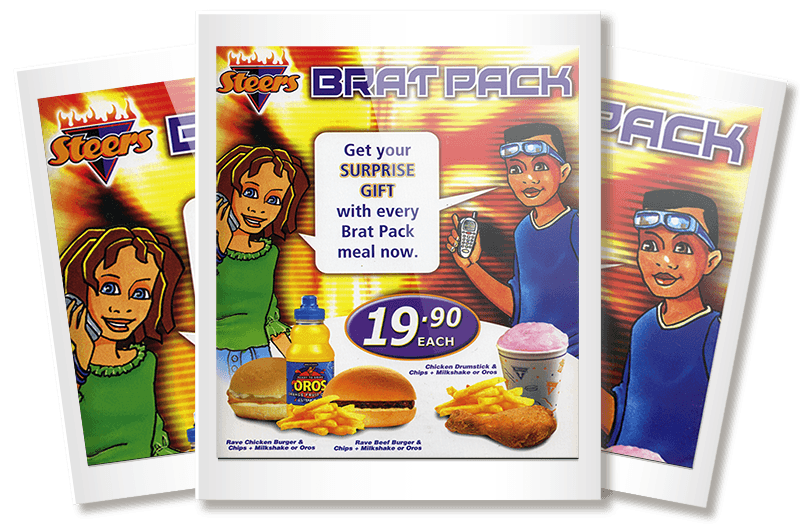 We add Brat Packs to our menu, making sure the whole family enjoys every Steers' visit. 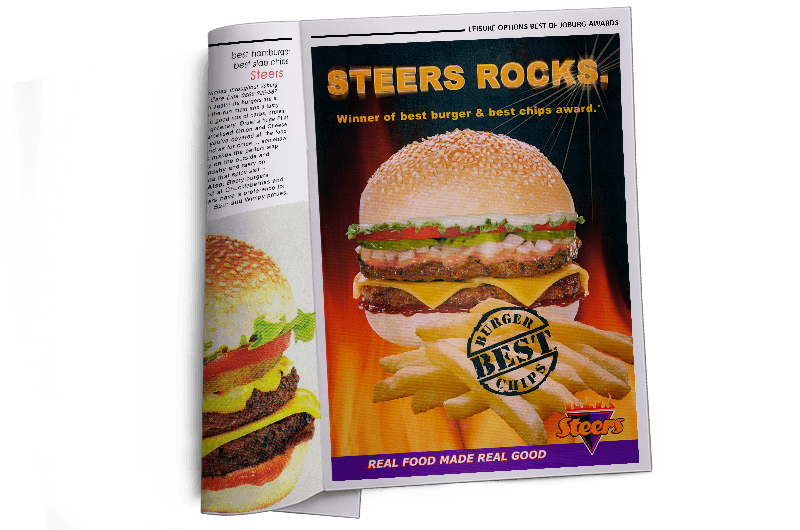 Our King Steer Burger and famous Hand-cut Chips win Best Burger and Chips in the Leisure Options Best of Joburg awards. Over the years, our chips will go on to win the title 3 more times and the King Steer Burger, 20 more times! Steers Holding is listed on the Johannesburg Stock Exchange and we win South African Franchisor of the Year yet again! We also reassess our image, add a splash of orange and embrace the power of purple. Why purple? Because every fire has a bit of purple at its core. Now we're all about Real Food made Real Good! We open our 250th restaurant and our flame spreads beyond South Africa's borders. 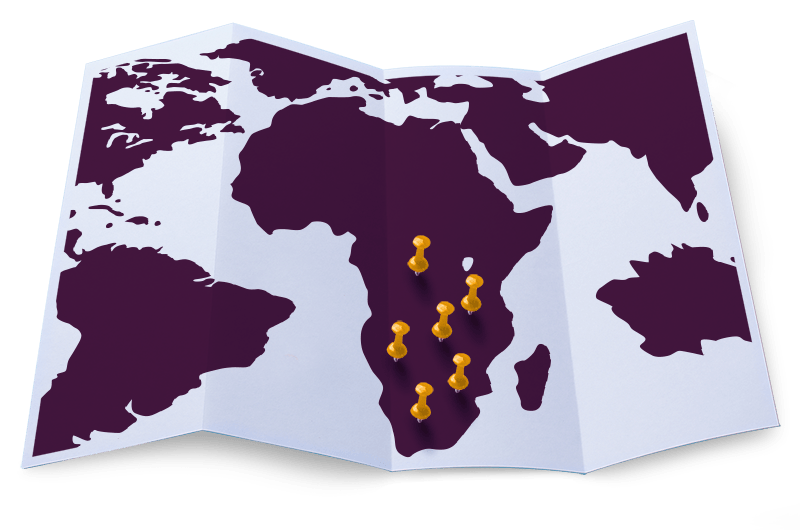 Now you'll find us in Botswana, Swaziland, Namibia and Zimbabwe. 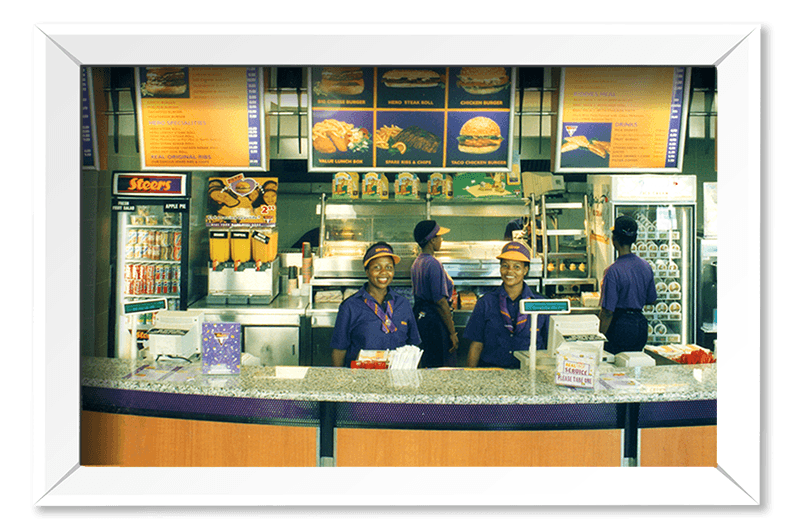 Steers Holdings is also voted South African Franchisor of the Year and Brandbuilder of the Year by the Franchise Association of Southern Africa! We add a training facility to our factory in Midrand. This ensures that wherever you find a Steers, we deliver real good service and real good food. 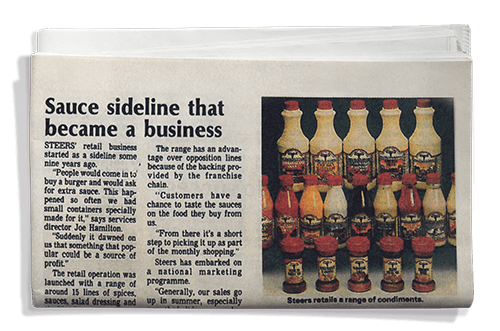 Since 1986, we've been selling Steers Sauces in most of our restaurants, but this year they hit supermarket shelves in their now iconic bottle. We also open another 35 restaurants around the country! We have grown to 50 restaurants countrywide! To ensure consistent quality we build a supply factory in Midrand, which includes our very own bakery, butchery and sauce bottling plant. 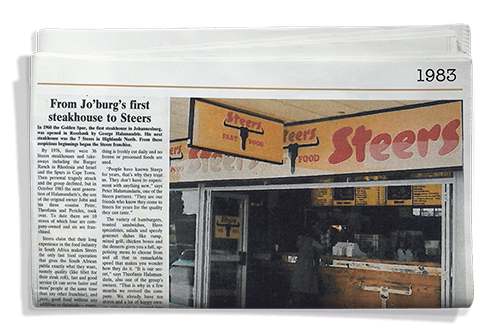 Steers becomes a franchise. After placing a single ad in a newspaper, we receive hundreds of requests and 15 new restaurants are opened in the next two years. 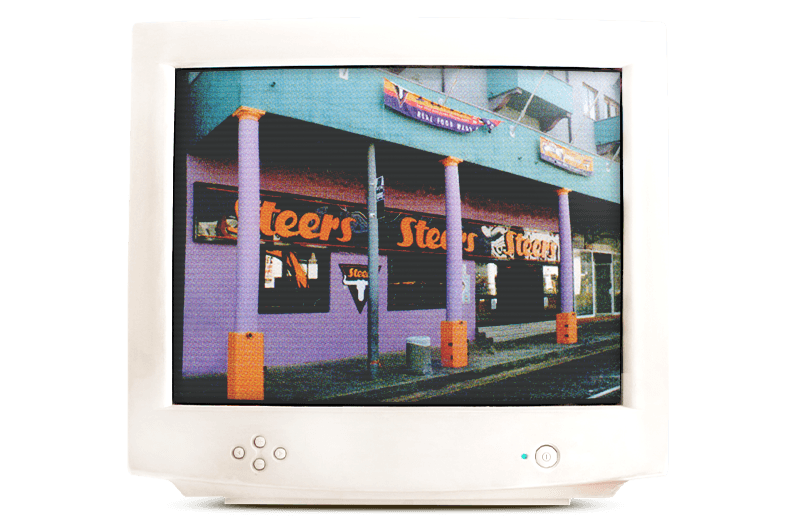 We open a restaurant in Jeppe Street, Johannesburg and become known for serving 100% Pure Beef Burgers, hand-cut chips and ridiculously thick shakes. 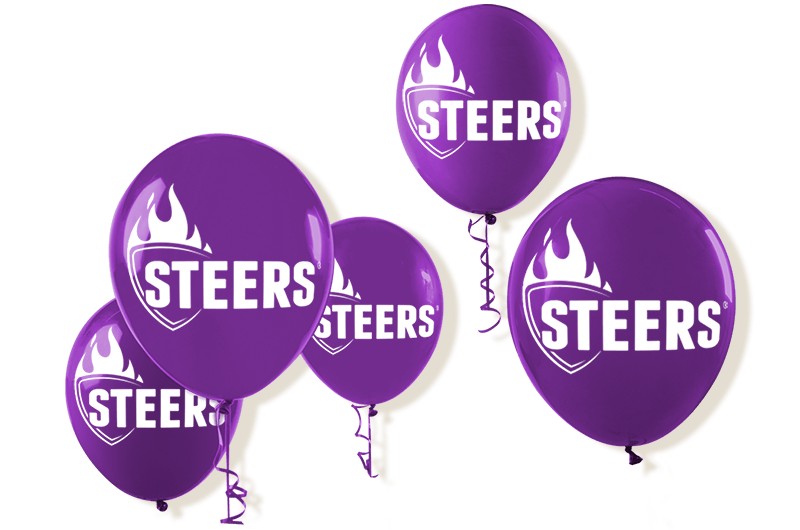 The first Steers Restaurant opens in Highlands North, Johannesburg. 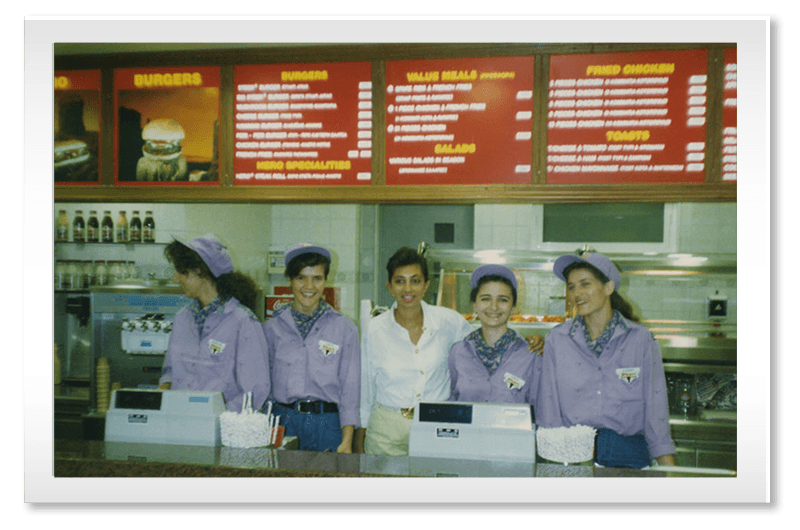 Since the beginning, we've been serving that flame-grilled taste.